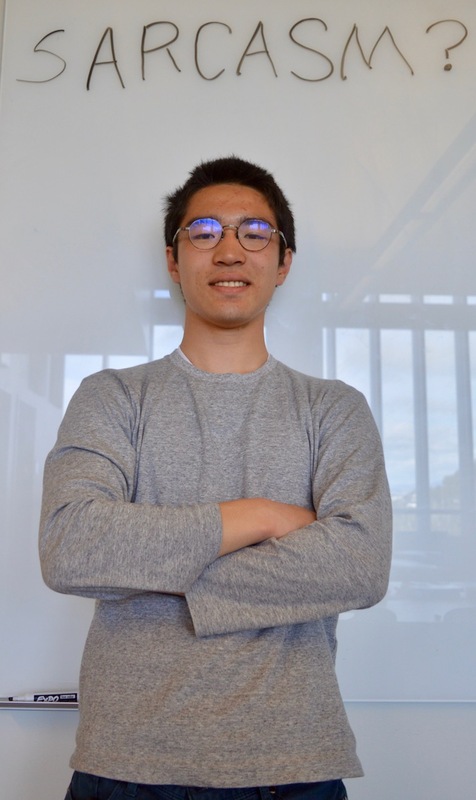 Undergraduate Takashi Yabuta plans to use his HDSI research scholarship to train machines to understand the nuances of sarcasm. Developing how the heart forms and brain works. How to analyze sarcasm computationally. Harnessing computers to develop campaign rhetoric that delivers voters across the political spectrum. The Halıcıoğlu Data Science Institute (HDSI) at the University of California San Diego has announced new funding for these and other innovative research projects helping develop the next generation in data science leadership. HDSI has awarded research undergraduate scholarships to 17 students funding 14 projects total this spring quarter. In the inaugural year of the Undergraduate Scholarship Program, each project is granted a total $2,500-$6,000. The scholarship program goal is to provide hands-on training in real-world projects to emerging data science talent, noted Bradley Voytek, an HDSI Fellow and associate professor in the Department of Cognitive Science at UC San Diego. More than 50 students competed for the 14 scholarship project awards for the spring academic term. “It’s impressive what a hunger our students have developed to use the newest data science tools to uncover answers to important questions,” said Voytek, who directs the Institute’s scholarship program. This is the first full academic year for the Halıcıoğlu Data Science Institute (pronounced Haw-li-jyo-loo), which oversees one of the largest data science majors in the nation. The cross-disciplinary program educates more than 600 undergraduate students, and has an expanding graduate program. The newest funded undergraduate research projects drew students from more than 14 different academic disciplines – from mathematics to music, and data science to cognitive science. That diversity highlights the breadth of need and appeal of data science applications in society, noted Voytek.